Sacred9Films – An independent film company specializing in development and production. NIGHT JOB is now available! NIGHT JOB is the first feature film by writer-director J. Antonio. It follows a night doorman on his first night shift. Directed by J. Antonio. Edited by Stephen Williams. Executive Produced by Laeticia de Valer. Exits is a psychological thriller by writer-director J. Antonio. The story follows a group of college students who hang around on campus in the late hours, thinking they have the place to themselves they roam free doing whatever they want. To their surprise a stranger shows up and has an evening planned for them all of his own. This is the prequel to Denouement. Find out how the money got in the chair and find out a bit more about the mystery woman in the suit. This is a thriller that is set to a 90s gangster rap instrumental soundtrack. If you like action, suspense, and drama, here is a short film which is the first of a three part series just for you! This is a short film that follows an envelope of money that mysteriously shows up on a college campus and becomes the coveted object of everyone around it. A Dizzy Affair is a neo-noir nonlinear silent film by J. Antonio. Follow an envelope of money as it is first found on a college campus and then is sought after by multiple parties. Witness the final installment of the A Dizzy Affair series. This part is the final but really the beginning. Find out what is so special about the money and who the woman with the badge really is. 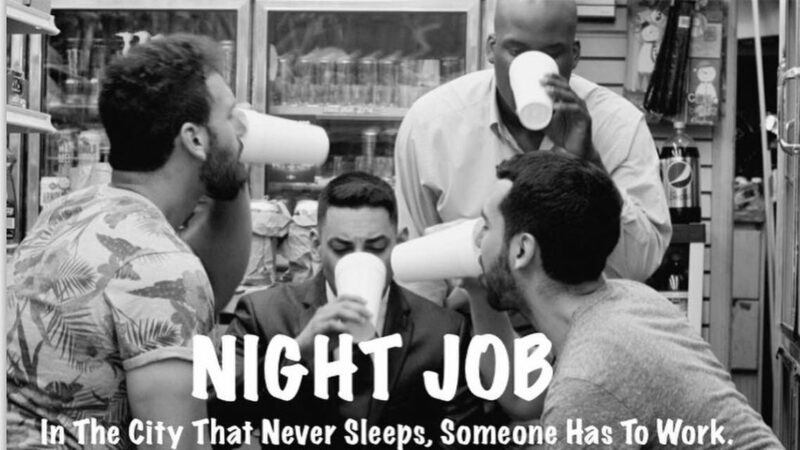 NIGHT JOB is the first feature film by writer-director J. Antonio. It follows a doorman on his first night shift. © 2019 Sacred9Films. Theme by Anders Norén.